When I first saw today’s entry, I thought it was an update entry from Jared and his $5 Free Spirit. After further inspection I realized that, no, this was not Jared’s FSTS but in fact an identical twin. James in Ohio is the proud owner this Free Spirit—complete with DELUXE gel seat cover. Both James and Jared’s bikes share some features not too often seen on bike of this caliber. Wing-nut front hubs: I thought they quit putting these on bikes sometime in the 60s. Triangle reflectors and elongated spoke reflectors: Nothing special really, I just never see them. Center-pull brakes: Again, nothing special, but I would not have expected them. I just wanted to say itâ€™s great to see my bike up on OTSG. I love this site and am on every day looking for new postings. Sorry for leaving the “DELUXE gel seat cover” on the bike for the pictures, but I ride this bike everyday and like a little cushion. James, I’m sure I speak for all of us when I say we’re glad to have you and your bike. Also, no need to apologize for the DGSC, we want to see the bikes in their ridden state—no trailer queens here. Nice bike James! Do you have an idea of the year on this bike? I am working on one that shares some of the features of your bike. The best I can do for you is an educated guess. The best answer I have for you is 1976. I have been doing research on dating bikes for the last week and found out that itâ€™s tough. 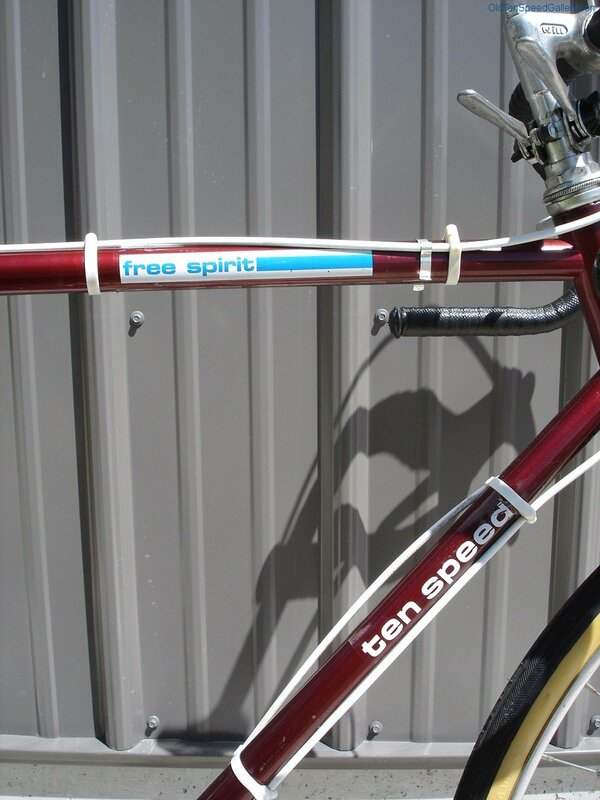 Iâ€™m basing my guess on the fact I know which model of Free Spirit that was made in 1975 and mine is defiantly made later. Iâ€™ll let you know if I come up with anything else. p.s. Canâ€™t wait to see your bike. Thunderbird GTO front derailleur. I am trying to date the bike from these items. Disraeli Gears indicates Shimano Eagle was 1974+. a few days back! The Ray Dobbins bike gallery was great. What is the rear derailleur on James’ beautiful Free Spirit? It looks very interesting – perhaps some kind of Excel model? 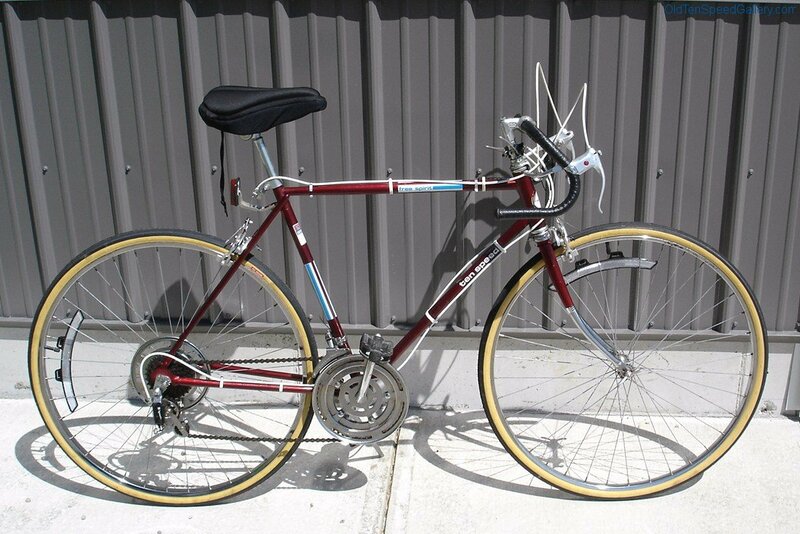 I have a 8/76 metallic blue freespirit roadbike with 27″ tires. It looks exactly like the one pictured but mine is a teal color. Mine has a plastic cover over the rear derailer that says “syncromesh” and front derailer has a big square box behind it that says excel dynamic. The brakes are dia compe. Any idea what model or is it a better one? Thanks. Craig. 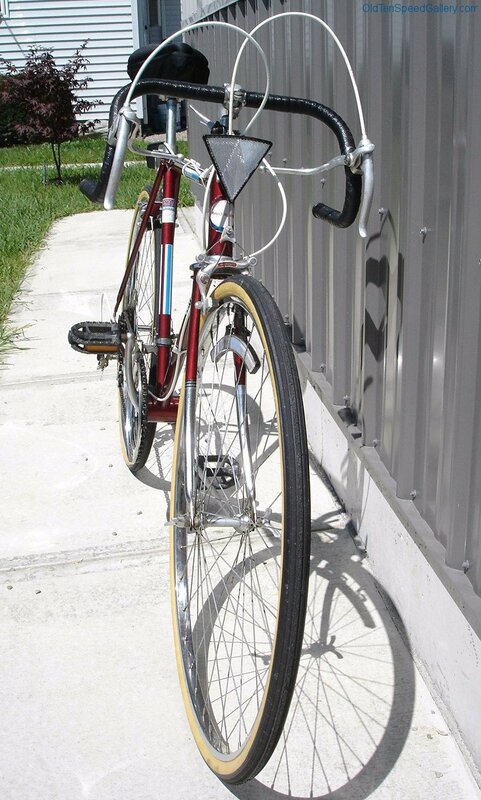 i have the same bike and i am looking for a rear derailer do you have any idea where I can find one. I went to the local bike shop and the cheapest one they could find was $100. I recently was digging through my dad’s basement for a bike I could take to college and found his old Free Spirit ‘Sovereign’ ES 12 Speed. Its blue and he barely rode it so it was in great condition, but it is a later model I think and it lacks the many pieces of “flair” that your bike possesses. I have a 1972 Free Spirit that has never been ridden. The bike is pristine in every way. The original tires are still pliable. How do I determine the value in order to sell it for a fair price??? Thanks. I purchased these two Free Spirits at different times. The Brittany (burgundy flavored) I really whacked-out totally..and the FS12 (blueberry flavored) is pretty much original minus the touring bars that I added and a few little cosmetic tweaks here and there. Altogether for the two I paid $50 or less.